What does it take to keep a marriage together? With 800,000 couples divorcing in the States every year, maintaining a relationship seems harder than ever. Even the celebrities we look at as relationship goals can’t make their marriages work. In the last year alone, monumental stars like Channing Tatum and Chris Pratt have announced they’re divorcing their partners. We don’t know how to cope. We still haven’t recovered from the breakdown of Brangelina back in 2016. Is no relationship safe? While Hollywood couples might be splitting up left, right and center, there are still some partnerships that are lasting the test of time. 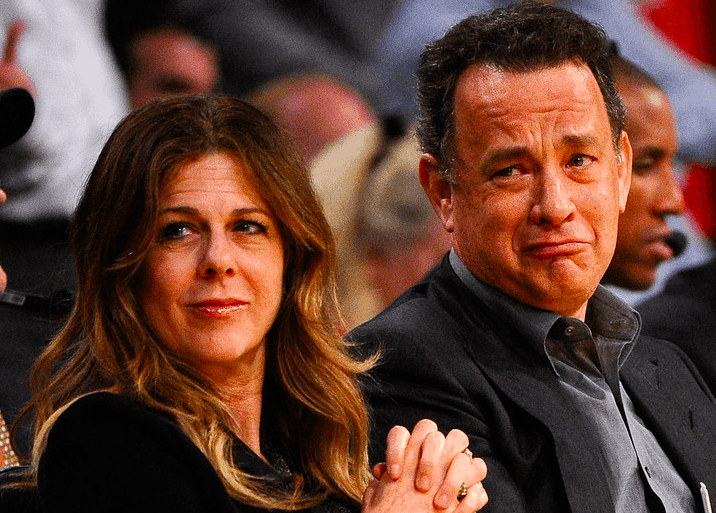 Few of them come close to the longevity of Tom Hanks and Rita Wilson, who celebrated 30 years together in April 2018. Despite being one of the greatest actors in the industry, Hanks’ fame hasn’t gotten in the way of his marriage to Wilson, and they say they’re stronger now than ever before. What is the secret to their success? Well, we think we might have found it. Tom and Rita have never shied away from discussing their relationship and what makes it work. They’ve recently revealed a detail that we weren’t expecting, and we reckon it’s the key to a long and happy marriage. Other celebrity couples better take note because the last thing we want is any more high profile divorces. 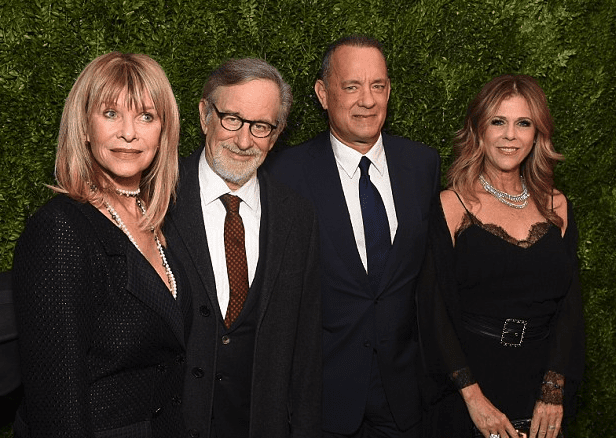 Tom Hanks and Rita Wilson first met each other in 1981 on the set of ‘Bosom Buddies,’ a sitcom that the former was a leading cast member of. Although their time together was brief, their meeting set off a spark that neither could deny. However, Hanks was not free to court this new woman in his life. He was already married to his college sweetheart Samantha Lewes, and the two were reportedly in a happy enough relationship to make a go of things. That didn’t mean he was able to keep Rita from his thoughts. Although they didn’t see each other again for another four years, he has said he always remembered her in the back of his mind. ‘Bosom Buddies’ wasn’t the only time that Tom and Rita would work together during their career. In fact, the sitcom was just the beginning. Fast forward four years and the pair reunited on the comedy film Volunteers, where both Hanks and Wilson were part of the leading cast. Their time on screen was just as regular as their time off it, and once again the chemistry between the two sparked. It wasn’t only Hanks who was feeling it either. When he asked his co-star if she felt a similar way, Wilson couldn’t deny her growing attraction to him. What did this mean, though? As a married man, Tom couldn’t betray his wife, could he? Tom Hanks wasn’t about to cheat on his wife with a woman he’d only met a few times. However, he wasn’t going to lie to himself, either. He knew that his feelings for Rita weren’t just going to go away. As time went on, they were only growing stronger, while his connection with Lewes seemed to be fading. Two years after reuniting with Wilson on Volunteers, Hanks decided to separate from his wife. Shortly after, at the premiere of cop comedy Dragnet, he and Wilson made their first public appearance. Although when he split from Lewes, Hanks assured that it was about more than embarking on a relationship with Wilson, the actor wasted no time in tying the knot again. Only one year later, the pair walked down the aisle and confessed their love for one another. 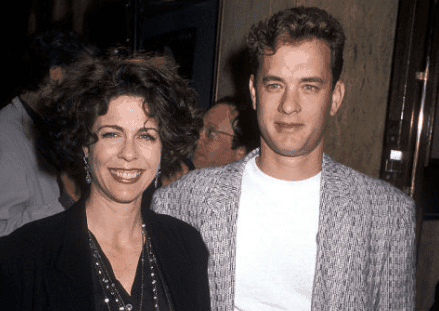 It may have seemed quick to a lot of people, but Hanks felt assured their marriage would last because of their “willingness to have an intimate connection.” Now that they’d made everything official, though, did the actor have any regrets? Tom Hanks has never been surer of anything than the fact that he has no regrets about marrying his second love. He says that from the moment the two saw each other, they felt an intense connection that felt right to both of them. It was because of that spark that he knows they wed for the right reasons, despite potentially rushing into things. That wasn’t to say marriage would be easy going, though. He knew he’d have to make changes in his life, some he didn’t see coming. It’s not uncommon for people to change their religious views upon meeting someone new, and Tom Hanks was no different. Before marrying Wilson, he decided to become a member of the Greek Orthodox Church. Rita had grown up in a family devoted to the religion, and as such, she’d become a firm believer in their views. When the prospect of marriage was on the table, Rita wanted her husband to be a firm part of her religious life, as well as her personal one. Luckily for her, Hanks agreed. Tom Hanks has always spoken openly about his marriage because he rarely has anything negative to say on the matter. Although he admits that the two of them have their share of bad moments, he doesn’t consider that abnormal. Every couple gets into fights, but it’s how they resolve them which shows their strength as a partnership. In an interview with Oprah, he told the talk show host that both he and Rita know that “No matter what, we’ll be with each other.” So, being married is easy for them? In a way, yes it is. Hanks hates the way that people refer to marriage as hard work because he’s never seen it like that. Despite the fallouts and hard times, he’s never seen his relationship with Rita as something that he has to struggle to make work. Even during their arguments, he says that it’s still better to be able to go home to his wife and sort through their issues. She’s the love of his life, and there’s no-one he’d rather be around. Following their wedding in 1988, the couple’s thoughts immediately turned to expanding their family. Tom was already a father to two children – Colin and Elizabeth – who he’d had with his ex-wife, but he wanted more kids in his life. Being able to have a child that was both a part of him and a part of Rita was the ultimate display of affection. It was only two years after tying the knot that their desire to be a proper family was realized, when Rita gave birth to their son Chester. With a new baby in the family, Tom and Rita’s careers could have taken a backseat to their personal lives. However, neither was ready to give up on acting. They found a way to make things at home work, and just three years later found themselves appearing in yet another film together. This time it was the rom-com Sleepless in Seattle, although the two played friends rather than lovers. It’s good that Hanks wasn’t ready to slow down his career, because, following the film’s premiere, his acting took off. He may be a big name at the movies, but Tom Hanks isn’t just adept at working in front of the camera. He’s pretty experienced when it comes to working behind it, too. Both of them are. In 2002, the pair were responsible for producing the hit film My Big Fat Greek Wedding. This was a project Wilson was incredibly passionate about because of her Greek heritage. Working together can be what breaks a couple apart, but for Tom and Rita, it made them stronger. Hanks’ desire to balance a busy personal and professional life would be too difficult for most people, but this is one actor who was determined to make it work. As a man who’d come from a broken home, he knew the importance of family. He’d been a child of divorce from the age of four and lived in nearly a dozen different houses by the time he was 10. It was an unstable childhood; one he didn’t want for his own family. The actor’s dedication to his family has undoubtedly paid off because he and his kids have grown very close over the years. He refers to the structure of his family as “classic” and “old-world” because they all enjoy spending time together, and will rearrange their schedules to ensure they can do that. After never knowing the love of a functional family in his childhood days, it’s a comfort to Tom that he’s been able to give that experience to his own kids. He couldn’t do it all alone, though. It might sound like a bit of a cliché to say, but Rita has always been her husband’s biggest fan. Their marriage wouldn’t have lasted for so many years if she didn’t believe in him the way she does. She’s incredibly proud of what he does both at home and on the big screen, and she’s not afraid to share that with the world. 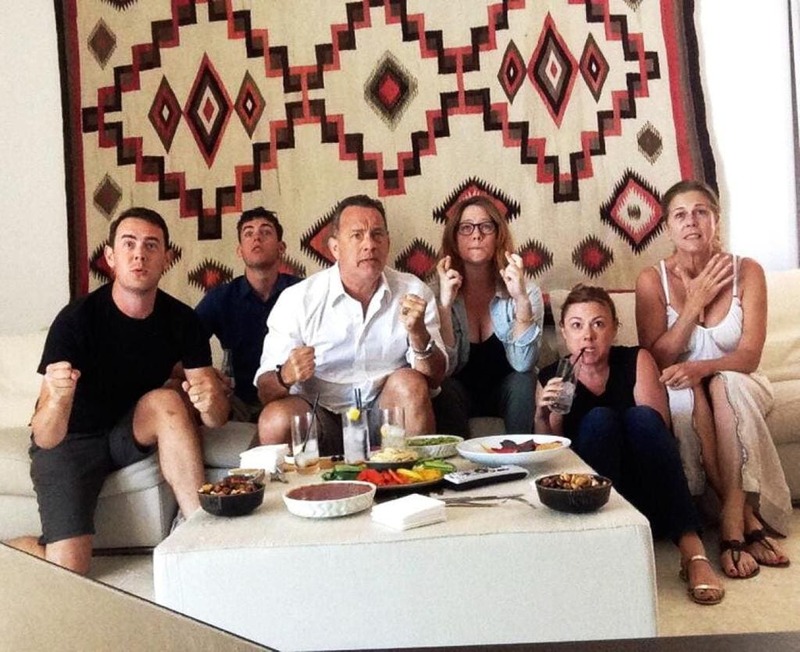 At the Cannes Film Festival in 2014, the actress couldn’t put down her camera as she documented all the adoration Hanks was receiving. He’d earned it. Anytime you go online it seems that another Hollywood couple has separated. There must be something in the water. Thankfully, there are couples like Hanks and Wilson who show that true love does exist and can last forever. The actor has said of his wife that she’s “loved me skinny, fat, bald, hairy,” and he considers himself “a lucky man” to be on the receiving end of that affection. That’s the kind of unconditional love you promise each other in your wedding vows, but does Rita feel the same way? She might not be as vocal as her husband about their personal lives, but Rita has admitted in interviews the things that Hanks says to show his love. One example was when she recalled what was an otherwise normal day in New York. The pair were standing at the lights waiting for them to change when he turned to her and said: “You never have to change anything about who you are in order to be with me.” Those were words Rita later held on to during her darkest days. 2015 was a challenging year for Tom and Rita. The latter was performing on Broadway in the play Fish in the Dark when she had to take an unexpected leave of absence. Wilson later explained that she needed to take time off to deal with a health problem. She’d been diagnosed with invasive lobular carcinoma and had gone through a bilateral mastectomy to deal with it. The actress was slated to make a full recovery, but the experience had shaken her and her loved ones. When someone is diagnosed with cancer, it affects everyone around them. 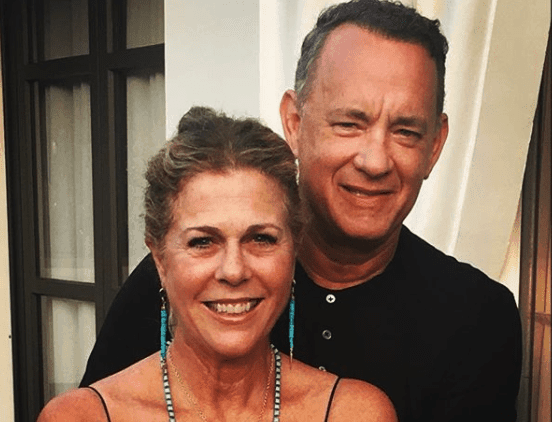 Tom Hanks was devastated when his wife came down with the illness, but he knew he had to stay strong for his partner. He did all he could to help her during such a tough time, and Rita was blown away by his support. She knew he loved her, but never expected him to go to such lengths to show it. While the diagnosis may have been heartbreaking, it made them closer than they’d ever been before. Now that Rita’s cancer is behind them, the couple is in good spirits once again. Tom hasn’t forgotten about the ordeal, though. He still can’t get over how incredibly his wife dealt with the diagnosis and considers her an inspiration, not just to him but to others with cancer around the world. As well as fighting the illness, Rita spoke candidly about it in the hope that people might find the strength to continue. Although her health is now in an excellent condition, she continues to help others to this day. Going through a cancer diagnosis is traumatic, but coming out the other side can give you a new lease of life. That’s what happened to Rita. After the all clear, she was grateful for every day she got to wake up next to her husband. The illness made her realize that life is precious, and it’s nothing without the ones you love by your side. Wilson was so blown away by the love that Hanks showed her during that terrible time that she ended up writing him a song. Rita has since taken that song and others to intimate performances at Café Carlyle in New York City. As well as being an actress, Wilson is a singer with two albums under her belt, the second of which followed her debut performance at the café. Throughout the set, she continued to discuss her cancer battle, as well as her enduring love with Tom Hanks. Who was sat right at the front? Her husband, of course, supporting her the way she has at many of his movie releases. The couple can’t stop celebrating each other’s achievements, which is impressive when you consider how far they’ve come. Before they met for the first time on ‘Bosom Buddies,’ Hanks was already aware of who his future wife was. That’s because he saw her on an episode of The Brady Bunch. While at a friend’s house, he watched the episode – “Greg’s Triangle” – and couldn’t take his eyes off the cheerleader. He thought she was cute, but he never imagined he’d one day meet, or even marry, her. Clearly, their love was destined to be, and now Tom and Rita are one of the most influential power couples around. They’re so powerful that everything they touch seems to turn to gold. Look at the two My Big Fat Greek Wedding films they produced together. The first release only had a $5 million budget to work on, yet it managed to pull in an incredible $369 million from the box office. The follow-up to the award-winning film also managed a profit of $70 million over its budget. The couple might be adept at working behind the scenes, but they’re best known for what they do on camera. 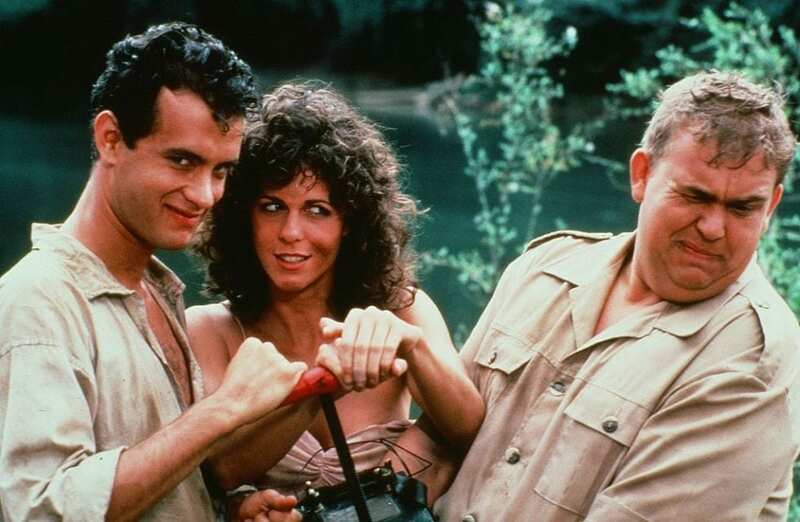 Some of Tom Hanks’ most memorable roles come from his performances in Cast Away, The Da Vinci Code and Saving Private Ryan, as well as in Forrest Gump. It’s the last of these for which Rita was a huge inspiration to the actor. He told Oprah that if it weren’t for his wife, he’d never have managed to associate with what his character was going through in the film. Forrest Gump truly solidified Hanks as a credible actor, and after its release, he felt on top of the world. It wasn’t long after it debuted that his wife gave birth to their second son, Truman Theodore, and his life truly came together. Now, over twenty years since then, he and Rita still laugh as though they’re back in their thirties. Hanks has even claimed that the two of them fight less than they ever used to, despite being married for 30 years. Surely something has to go wrong. With so many couples splitting up in the media, it’s not unusual for the tabloids to try and spread rumors about potential divorces. As a high-profile couple, Tom and Rita were naturally the targets of many publications who claimed they were on the verge of separating. They manage to take it in their stride and brush off the ridiculous claims, though, because they know what the truth is. That doesn’t mean they never call the tabloids out on their lies. Who would want people going around lying about them? These publications will take any tiny detail they can to try and tear the happy couple apart. While most of their claims are false, Tom and Rita do have the odd argument that can get out of hand. It almost always happens when they’re driving apparently. It seems that Hanks isn’t great at receiving directions when he’s behind the wheel and is too stubborn to take his wife’s advice. It’s not the first time a couple has fallen out over driving, so we can’t blame them. 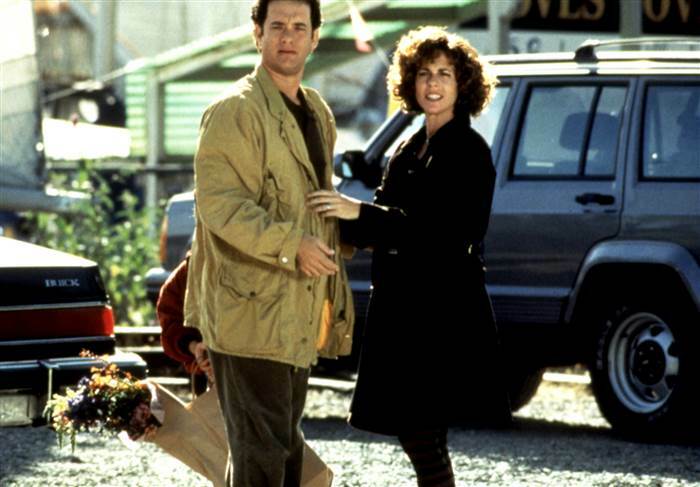 Despite the occasional fallout, Hanks and Wilson have one of the most successful marriages in the industry. While so many others have parted ways, they’ve grown strong, and it’s all because of one special secret. Tom has claimed that he and his wife learned how to be eternally happy years ago, and it’s what’s kept them going for so many years. What is he talking about? Being truthful. They don’t keep secrets from each other, and from the looks of it being honest works a treat. Honesty is the best policy, but even with their truthfulness, fans have doubted Hanks and Wilson’s longevity. Many people are skeptical about high-profile marriages, likely because the majority of them fall apart. Tom and Rita are a couple that is very much out of the ordinary though. 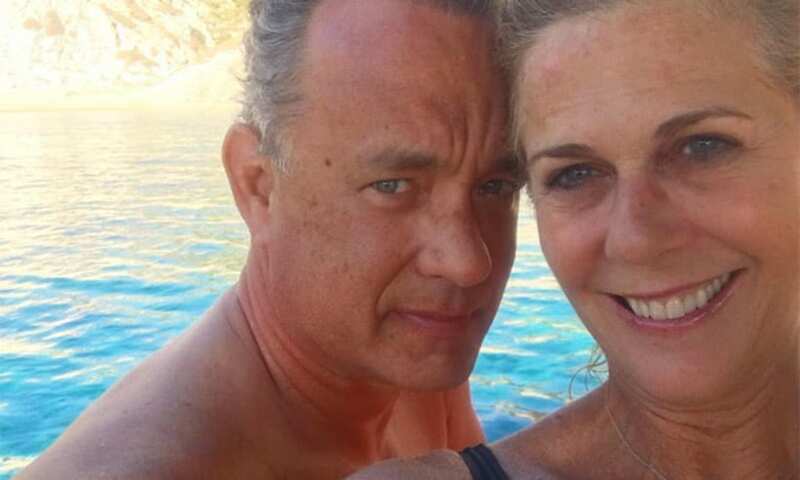 Hanks admits that it’s hard for any marriage, celebrity or not, to stand the test of time, but that when you’re with the right person, it has a chance of being successful. If it wasn’t obvious, he’s found the right person. Rita would agree with her husband too. 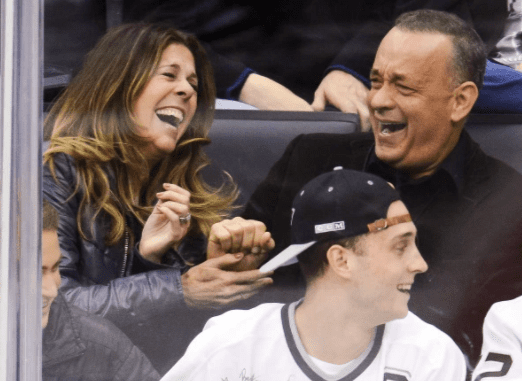 She’s certainly found the right man for her in Tom Hanks, and she can’t stop supporting him. Even though she might be his number one woman, she’s happy to share him with the fans, too. Rita always praises Tom’s film work and says that his performances “have meant a lot to a lot of people,” so she isn’t surprised that fans regularly approach him. If she were in their position, she’d probably act the same way. Even after denying all the allegations of divorce, the couple continues to get hounded by the press about the state of their relationship. It’s reached the point now where Tom and Rita have demanded an apology from the publications making false claims about their marriage. Star magazine and the National Enquirer both made ridiculous accusations that the couple was divorcing, and they weren’t having any of it. Before, the claims were laughable, but now they’re getting too personal, and the pair refuses to have their love desecrated like this. To prove their enduring love for each other, the couple has gotten into the habit of making a show on their anniversaries. In 2017, during their 29th year together, Rita uploaded a photo to Instagram of her and her husband looking incredibly happy. She talked about how grateful she is to have Hanks in her life, and that she’s thankful for every day that the two spend together. Tom followed up her post with a remark that Rita makes him laugh more than he ever did before. While their relationship might be secure, their family isn’t free from difficulties. The couple’s oldest son Chester hasn’t had the easiest time of it in recent years, and in 2015 ended up crashing his car. Due to the vehicle being a co-ownership with his parents, Tom and Rita were brought into the lawsuit which saw them named equally responsible for the injuries caused. While they’ve been supportive of their son as parents, this legal trouble is not something that the pair are accustomed to. Even with some trouble from their children, family is still the most important thing to Tom and Rita. 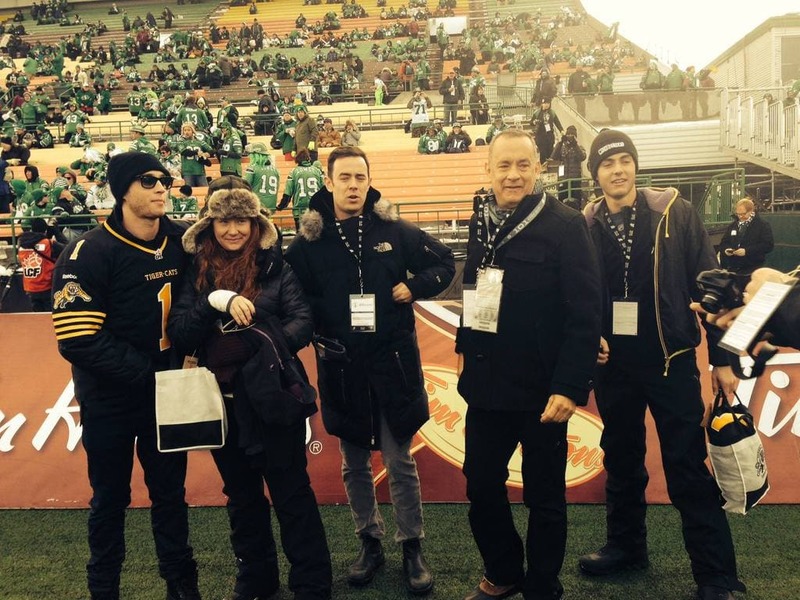 Several of their kids have had children of their own, including Hanks’ son Colin from his first marriage, and the couple loves nothing more than being grandparents. They consider themselves to be “cool” and enjoy watching the children get up to mischief. Tom may be an A-List actor whose films have grossed more than $9 billion, but at the end of the day, he’s just an ordinary family man. When two people have been married for 30 years, you wouldn’t expect them to want to work together when they see each all the time. However, Tom and Rita are adding another credit to their growing list of performances together this year. Hanks is set to play Sir John Falstaff in a production of Henry IV in 2018, marking his Los Angeles stage debut. He isn’t going to be alone up there, though, because Rita is also a part of the cast. They can’t get enough of each other. Rita is a very lucky woman. Not only is she married to one of the biggest names in the industry, but her husband is also a humble man. Despite his fame, he can’t believe how fortunate he is to have Wilson by his side all the time. He’s so enamored by her that he says their relationship would never work if they were in high school, because he wouldn’t even have the courage to speak to her. It’s a good thing they met after graduation then. We can all hope to have a marriage like Tom and Rita’s, even if it’s hard work. According to Hanks, all it takes is “being married to the right woman” (or man) for the relationship to last. Sounds easy, right? Maybe not, but if these two can make it work, then there’s hope for the rest of us. There aren’t many Hollywood couples that have made it past the 30-year mark, so if there’s anyone we should be taking relationship advice from, it’s definitely these two.